Highs of just 6C plunged the Match and Specimen Lakes into true winter mode for the 11 teams (44 anglers). That being said, the 1st round fished very well. Individual winner today was Ray Lamb (Cookie Monsters) who drew peg 30 on the Match Lake. Ray caught on pole and pellet weighing in 160-02-00. 2nd on the day was Max G (Cookie Monsters) who drew peg 6 on the Specimen Lake. Max fished long and short pole with pellet to weigh in 108-12-00. 3rd placed Richie Hull (Garbolino) drew peg 18 on the Specimen Lake weighing in 105-00-00. Richie caught some early carp on the method, later switching to the long pole and pellet. 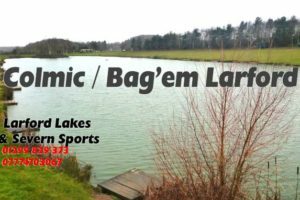 4th overall was Warren Jennings (Bag’em Winter Wonders) who drew peg 50 on the Match Lake. Warren caught on the long pole and down the edge with pellet and corn to weigh in 104-09-00. 5th on the day was Steve Ford (Garbolino) who drew peg 16 on the Match Lake. Steve caught on pole and pellet long to weigh in 103-04-00. 6th to the frame was Craig Jones (HT Angling) who drew peg 22 on the Match Lake. Craig fished pole & pellet long to weigh in 102-11-00.